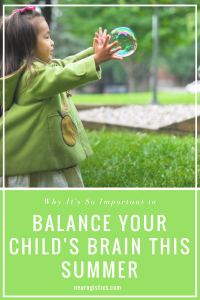 There are so many amazing summer activities to boost brain power, but with camps, sleepovers, family vacations and other changes in their schedules, your child’s brain chemistry can change. The brain is a muscle. Your child needs to keep it active and strong so the beginning of the year doesn’t add more stress to your family. Overall health for your child does not just mean staying active, eating clean and getting enough sleep. Optimizing neurotransmitters improves your child’s behavior and symptoms, but it can take six to eight weeks for amino acid therapy to help restore neurotransmitter levels. That means, starting up right before fall classes will not help them succeed in the beginning of the semester. The gastrointestinal tract helps remove the foods your child may have intolerance for. The Elimination Diet takes about two to three weeks, so right now during summer is the best time to make the changes. During the summer, your child is relaxed and has more time in the day. Introducing changes is easier and can be more effective if done when they have less stress in their environments. Did you know that most children tend to fall behind in math and spelling and that teachers spend an average of four to eight weeks every fall reviewing material students have forgotten over the summer? Research shows that most kids have a hard time with reading compression simply because their brains haven’t had enough practice over the summer. 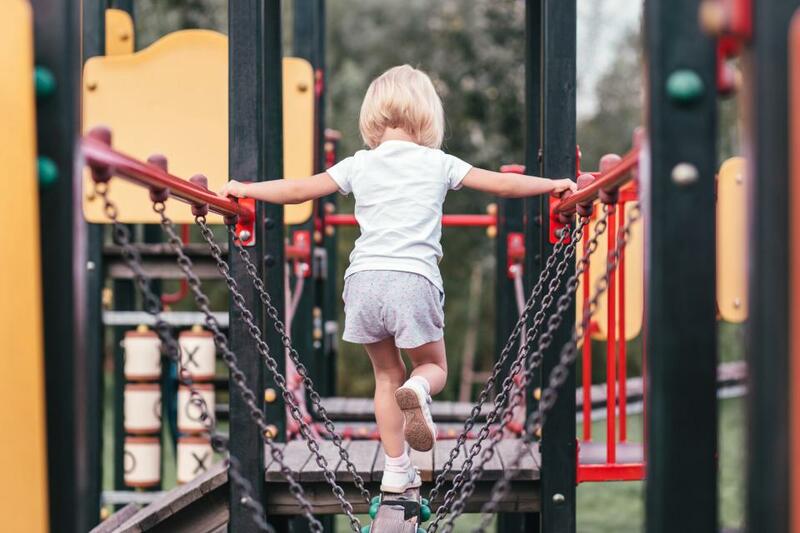 Kids also tend to gain more weight when they are out of school — particularly those who are not engaged in summer activities, as they are at higher risk of obesity and tend to spend a lot of time playing video games or watching TV. These activities can alter their dopamine levels significantly. They become less motivated by real life situations and find it hard to break free from their devices–which we all know is unhealthy. 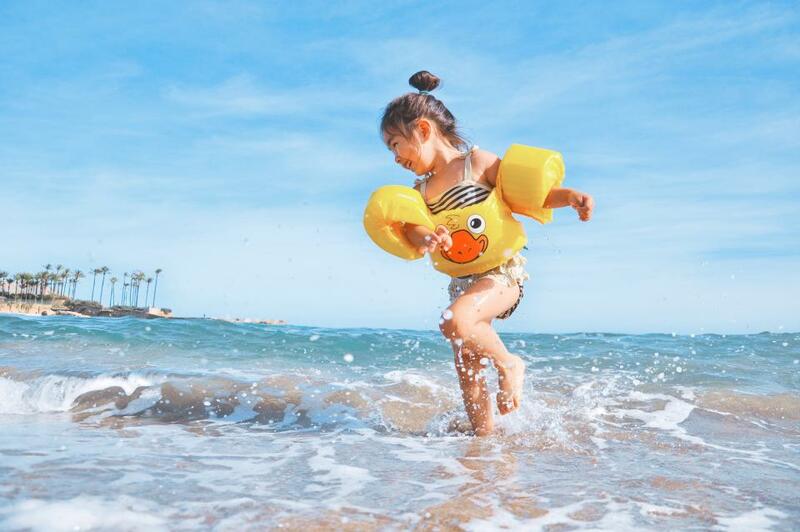 The National Center for Summer Learning at Johns Hopkins University shows that summer activities can help balance your child’s brain and set them up for success come September. Summer can be a great time to get them on the right foods, appropriate supplementation, and start implementing lifestyle changes before routines get chaotic. You can consult with one of our fantastic clinicians to guide you in the right direction. Many parents struggle to find summer activities to both educate and engage the little ones. The right summer activities can build new associations between different neural connections of the brain. They can improve motor skills, enhance coordination and balance your child’s brain. They can also rebuild neurotransmitter levels and aid in healing the gut. 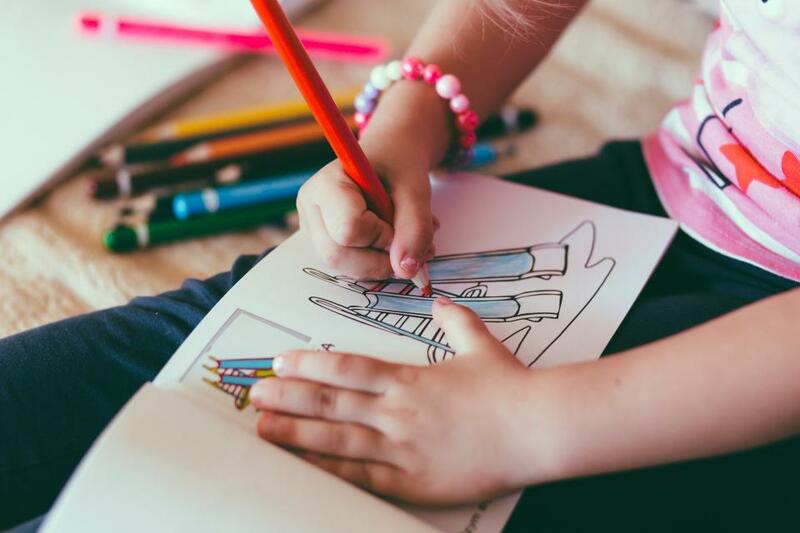 Here are some of our favorite activities you can do with your family that doesn’t only help with spending time together but also keeps their brains ready for back to school! Read Real Books. Books in their natural form, made of paper, help children’s brains slow down and process. Harvard and MIT researchers have found that the more reading school kids do over the summer, the more their brains develop—and those who struggle with reading feel more confident before they head back to class. Go to your favorite library or bookstore and let them search for topics and books that interest them. Barnes and Noble has a great summer program, giving out free books and keeping kids accountable. The Barnes and Noble Summer Reading Program gives kids a free book when they read 8 books over the summer. Get Active. Physical activity is one of the most important ways of developing the brain’s frontal lobe and improving a child’s behavior and attention. When your muscles get active and they engage in aerobic exercise it increases serotonin production and strengthens the frontal lobe. Swimming, hiking, being outdoors in unstructured play, riding bikes, and learning a sport are all good workouts for the brain. Hydrate. More than half of American children are dehydrated, which can have repercussions for their health and academic performance. According to Mercola.com, About one-quarter of children in the US do not drink water on a daily basis. Overall, boys were more than 75 percent more likely to be inadequately hydrated than girls. An excellent method for measuring how much water is needed each day is to divide your child’s body weight by 2. This will determine the number of ounces of water necessary for optimal health. If they are really active this may need to be increased. Avoid juice; the sugar can cause dehydration and a crash later in the day. 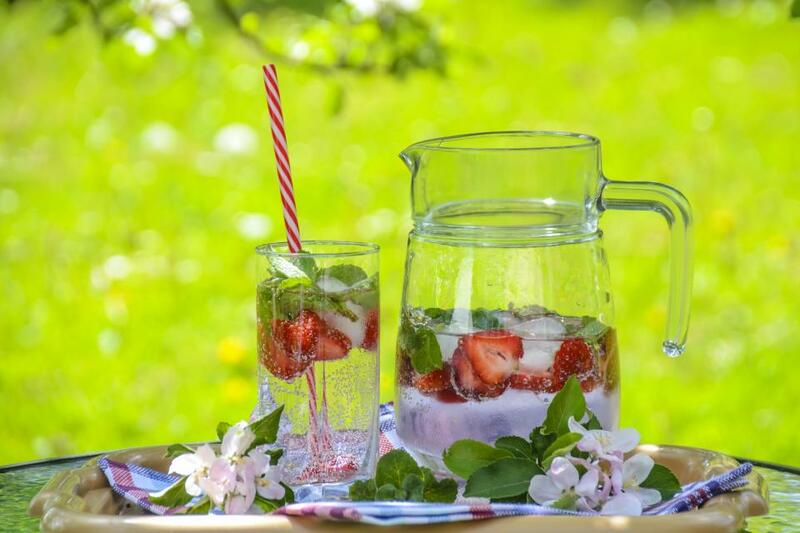 A fun treat is to add berries to water bottles. Limit screen time. It may be hard to keep kids away from the electronic devices during the summer, but it’s important to limit the amount of time they spend with screens. Dr. Dunkley, child and adolescent psychiatrist specializing in technology additionally notes that “interactive screen-time is overly stimulating to the nervous system—especially a developing one—via sensory and circadian reactions and psychological and physiological hyperarousal. Once the arousal-stress cycle becomes chronic, it will eventually cause damage to the nervous system.“ If your child struggles with focus, ADHD, or sensitive systems, screen time will lead to meltdowns and more behavioral challenges. Ignore the calendar and do your best to stick to a strict “screen diet” during the summer months as well as the school year. Use a timer or a journal to allot a specific time limit for gaming. Sit down with your kids and work out a weekly plan that includes activities such as camps, trips, and events as well as media and tech time. If you’re traveling, talk about whether to bring devices and when and how much they can be used. Use the American Academy of Pediatrics’ Family Media Plan Tool and Media Time Calculator to create a customized schedule. Want more tips and tools to balance your child’s brain chemistry this summer? Check out our favorite brain boosting activities here.